Changes in federal law have created uncertainty for people with undocumented status, as well as for the providers who may serve them. Here are some resources to help providers in their work. The webinar and resources below include contact information, legal advice, and client planning tools to be prepared and informed about potential incidents. All Inquiries and requests for assistance are confidential. 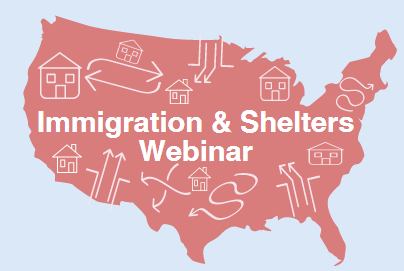 The Family Preparedness Plan discusses methods to arrange care for children when parents’ immigration status is in danger and provides resources from the Immigrant Legal Resource Center. Click here to download the Family Preparedness Plan in Arabic, Haitian Creole, Mandarin, Polish, Portuguese, and Spanish. IICONN’s immigration lawyers and counselors offer low-cost representation and legal assistance for visa services, status adjustment, temporary protected status, deportation defense, and other immigration services. A guide for educators, advocates, McKinney-Vento liaisons, and attorneys to supporting homeless and undocumented students in their education and legal status. IRIS’s Immigration Legal Services provide the legal services to help immigrants and refugees achieve legal residency, citizenship, and family unification. This ACLU slideshow acts as a guide to rights and legal resources when confronted by agents from Immigration and Customs Enforcement. A memo from Governor Dannel Malloy’s office about Connecticut immigration law enforcement policies and the Connecticut Trust Act. Connecticut public school superintendents can employ these strategies from Governor Dannel Malloy’s office to support immigrant students and their families. The Connecticut chapter of the ALIA represents Connecticut asylum seekers and immigrant families seeking residence for their loved ones on a low-cost or pro bono basis. Connecticut Legal Services, a statewide organization that provides legal representation and counseling to low-income Connecticut residents, is prepared to provide legal aid to undocumented and low-income immigrants. They also offer an immigration legal advice hotline available at 1-800-798-0671. A workshop summary from the 2017 National Alliance to End Homelessness Conference by CCEH staff members Carl Asikainen and Brian Roccapriore.